Also included is an ​overarching framing notice​ explaining the government’s approach to preparing the UK for this outcome in order to minimise disruption and ensure a smooth and orderly exit. While the UK government is confident that it will agree a good deal for both sides, as a responsible government it will continue to prepare for all scenarios, including the outcome that the UK leaves the EU on 29 March 2019 without a deal. 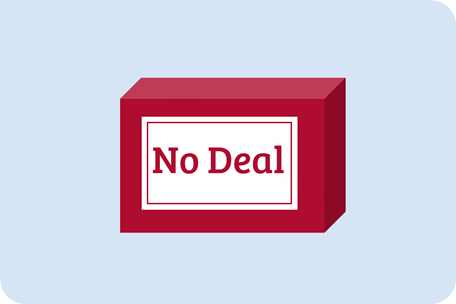 It is important that businesses consider how a ‘no deal’ scenario could affect them, and begin to take steps to mitigate against such a risk. This technical notice provides further details to support early planning on VAT to help businesses understand the potential impacts, and government will provide further details, including specific actions that businesses should take, in due course. The UK will continue to have a VAT system after it leaves the EU. The revenue that VAT provides is vital for funding public services. The VAT rules relating to UK domestic transactions will continue to apply to businesses as they do now. If the UK leaves the EU on 29 March 2019 without a deal, the government’s aim will be to keep VAT procedures as close as possible to what they are now. This will provide continuity and certainty for businesses. However, if the UK leaves the EU with no agreement, then there will be some specific changes to the VAT rules and procedures that apply to transactions between the UK and EU member states. The government has taken decisions and actions where necessary in order to mitigate the impacts of these changes for businesses. This note summarises the main VAT issues that will affect UK businesses trading with the EU in goods and services if the UK leaves the EU without an agreement on 29 March 2019. Although no changes will be made before then, this note highlights the VAT changes that businesses will need to prepare for when importing goods from the EU, exporting goods to the EU, supplying services to the EU, and interacting with EU VAT IT systems such as the VAT Mini One Stop Shop (MOSS). This technical notice details potential changes in each of these areas. If have any queries about this article, contact us today and our team will be more then happy to answer your questions.